My Indian Face massage alternative therapy course is very easy to learn. 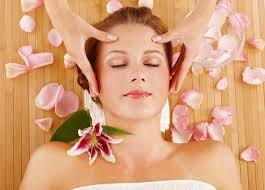 You will learn how to do a 60 minute Indian face massage by learning my rejuvenating face massage online course. Indian Face massage online courses are becoming increasingly popular as more people are wanting to learn from different countries that might not have access to this modality in their own country. First of all here is some info about my Indian Face massage online course. Indian Face massage is fairly new. It was developed in the 70's by a woman called Kudan Metha. whose vision is to help people improve the appearance of their skin. What the therapist does is exercise the skin so that the flow of blood and oxygen distribute all over. Indian Face massage is definitely a relaxation modality but it does help with stress, anxiety and allergies by working on the sinus points plus more such as helping one to sleep better, can relieve tension headaches. It should be done with oil that would be geared for your skin type. The therapist also does a little bit of energy work on their client so that they could relax even more. Guaranteed some clients will fall asleep.